We are engaged in offering Hyundai Excavator. 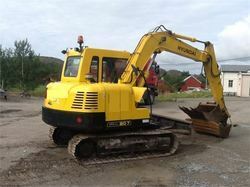 Hyundai R-210-7 Excavator with new rock breaker in Excellent condition. Working in Earth work only. Excavator Hyundai 215L available for rent on monthly basis. From our wide consignment, we are affianced in offering R210 Hyundai Excavator. 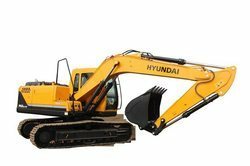 Banking on our enriched industry experience, we are able to supply Long Stick Hyundai R 210 Excavator.